Filipinos are known for their creativity in various fields. When it comes to handicrafts such as bag-making, they can do numerous designs and use different materials or even recycled products. Some of the most popular recycled bags made in the Philippines today are those that use juice packs and dried water lily. 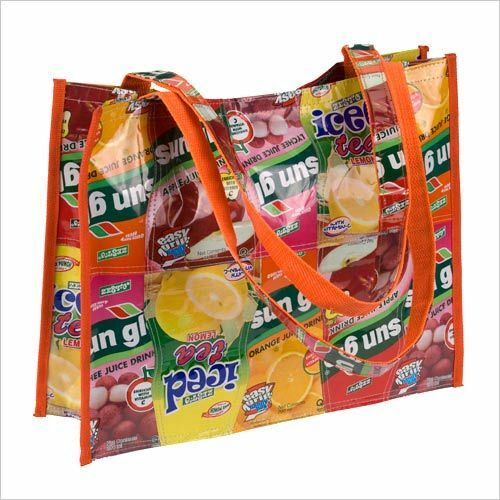 The doy bags, as they are also referred to, are made from recycled juice packs or wrappers. For many years now, several women’s cooperatives in the country have been collecting these used juice containers as well as rice bags and advertising banners. The female members then make these products into beautiful handbags and accessories including wallets and coin purses. Through this effort, cities have reduced their plastic waste which often causes drainage systems to get clogged particularly during heavy rains and floods. One women’s group called the Taganak Women’s Buyers’ Club has been doing an honorable act by creating recycled bags to help protect the threatened green sea turtles in Tawi-Tawi’s Turle Islands Wildlife Sanctuary or TIWS. The TIWS is considered a heritage protected area as declared by UNESCO because it is where the turtles go to to lay their eggs. As such, the place needs to be kept clean and safe all the time. Meanwhile in Vietnam, they are also using discarded advertising banners and make them into tote bags. These banners are usually made from a PVC flexi material which can be very durable and water-resistant. Garbage has been a major problem in the Philippines for a long time now. In fact, plastic products have been blamed for the flashfloods that occur in most cities across the country as they clog the drainage systems. They have also contributed to water pollution particularly in rivers, seas and esteros. Thankfully, the Department of Environment and Natural Resources has implemented strict measures to ensure that Filipinos practice waste segregation at home and do their share in disposing of their garbage properly. The use of plastic bags has also been banned in most areas of the country. A bill has been passed prohibiting the use of plastic bags in groceries, restaurants and other establishments and imposing penalties to violators. Local governments have also passed an ordinance banning establishments from using, offering or even selling plastic bags as primary or secondary packing materials for their products. Many private and non-profit organizations, for their part, have launched bag-making projects using indigenous and recycled materials. These, in turn, have given livelihood opportunities to housewives and other women in poor communities.